Child welfare professionals help families to reflect and learn and build skills for the life they want for themselves, their children, and their community. To do this challenging work effectively, it is important for professionals to also build their self-awareness, knowledge, skills, and to practice self-care. 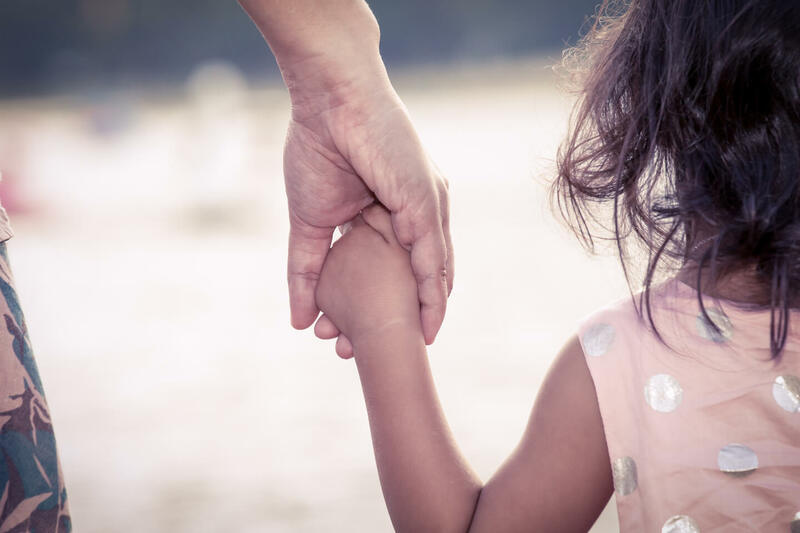 The products in this section focus on this type of worker preparation as well as understanding the needs of those in your community, and a variety of tools that are available to child welfare professionals. 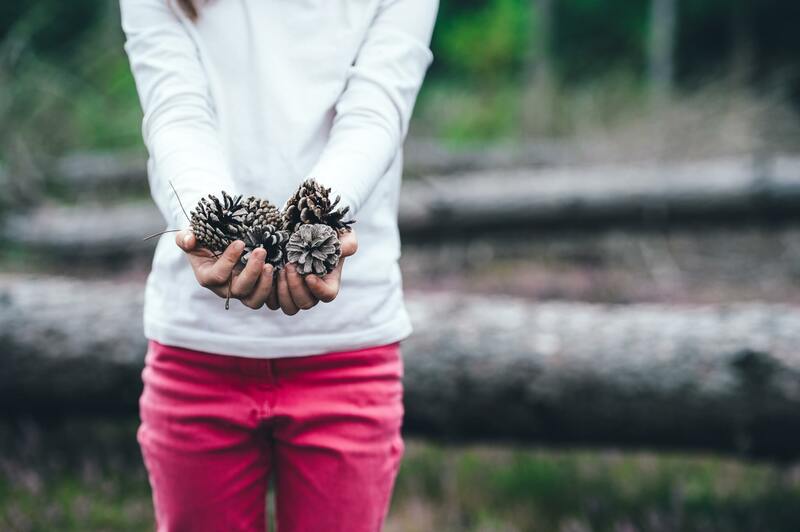 VIEW "FAMILY FROM A TRIBAL PERSPECTIVE"
This e-learning acknowledges family strengths and resilience while discussing how families are impacted by poverty, disparity, and trauma. This two-page resource offers brief guidance for those in the field and helpful reminders to keep in mind before working with families. This resource provides an overview of principles for successfully engaging families in the assessment process, tips for preparing for an assessment, practice considerations in conducting an assessment, and guidance for selecting an assessment tool – all from a strengths-based approach. 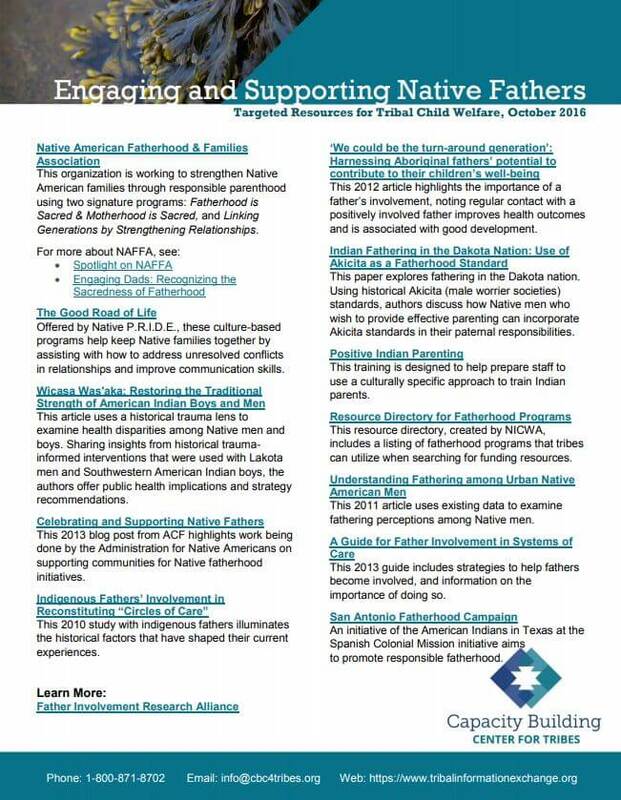 This one-page resource list identifies targeted resources for Tribal Child Welfare Agencies focused on engaging and supporting fathers. 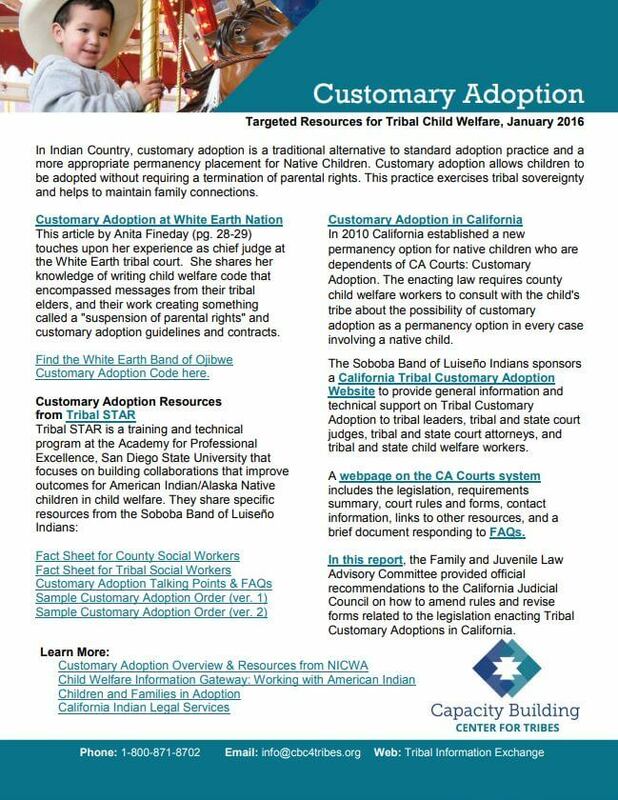 In Indian Country, customary adoption is a traditional alternative to standard adoption practice and a more appropriate permanency placement for Native Children. Customary adoption allows children to be adopted without requiring termination of parental rights. This practice exercises tribal sovereignty and helps to maintain family connections. 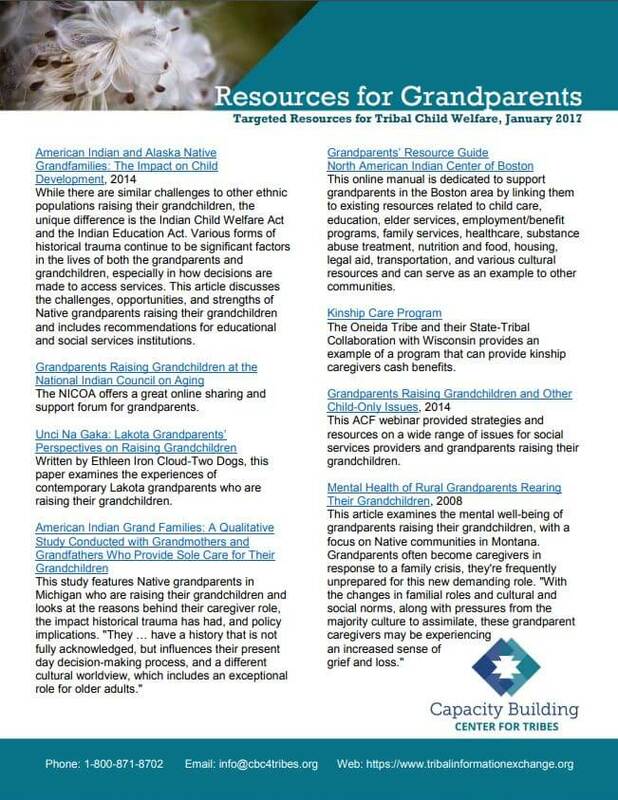 This resource list compiles targeted resources from the field related to supports for native grandparents. 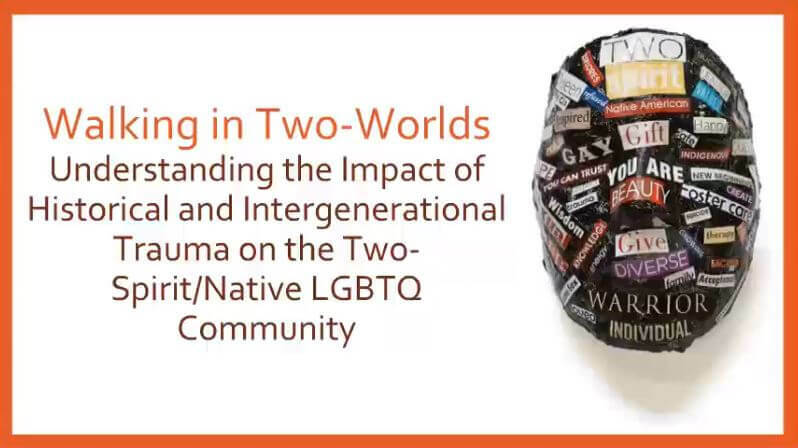 Listen to this webinar where the historical roles and identities of Two-Spirit/Native LGBTQ people were discussed, how historical/intergenerational trauma has impacted this community, and the efforts to bring back balance, beauty, and acceptance. 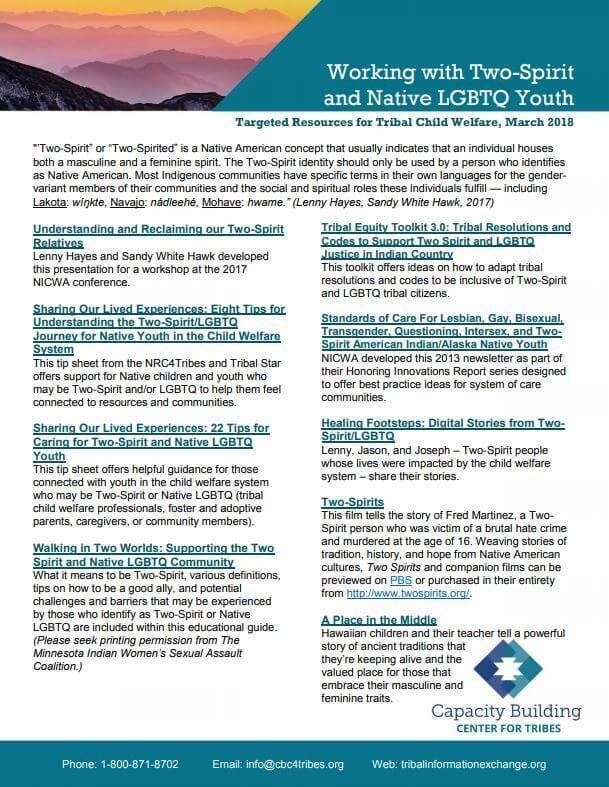 This resource list shares information designed to raise awareness and encourage tribal child welfare professionals to think through how they can better support Two-Spirit and/or Native LGBTQ children and youth. 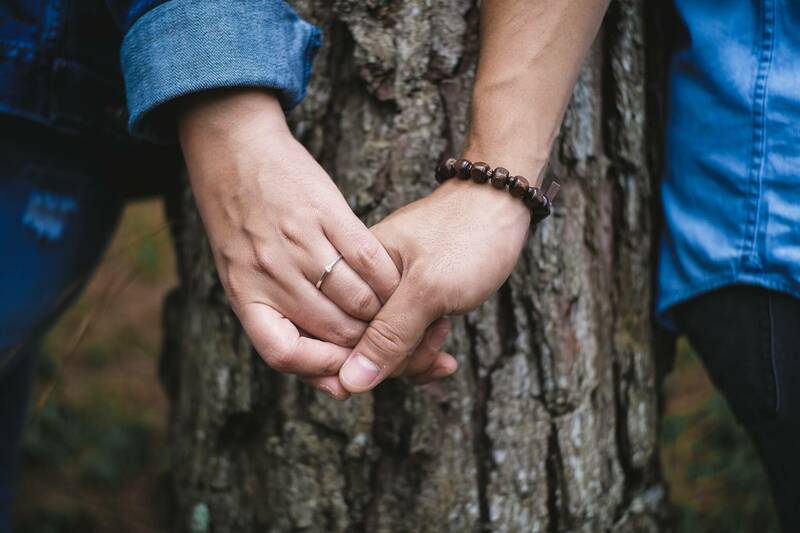 This webinar offered education on Native LGBTQ and Two-Spirit identities and explored answers to the questions: How can tribal communities welcome their Two-Spirit relatives back into their circles? What can child welfare agencies do to create a safe and welcoming environment? 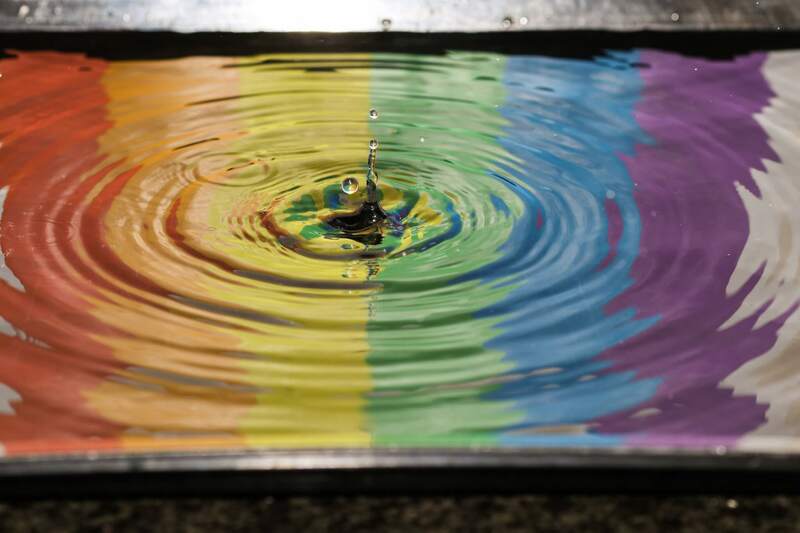 How can those who work with youth protect and support the Two-Spirit/Native LGBTQ individuals in their care?